A 75 unit mixed tenure development comprising 50 units for rent, nine shared ownership and 16 for outright sale. 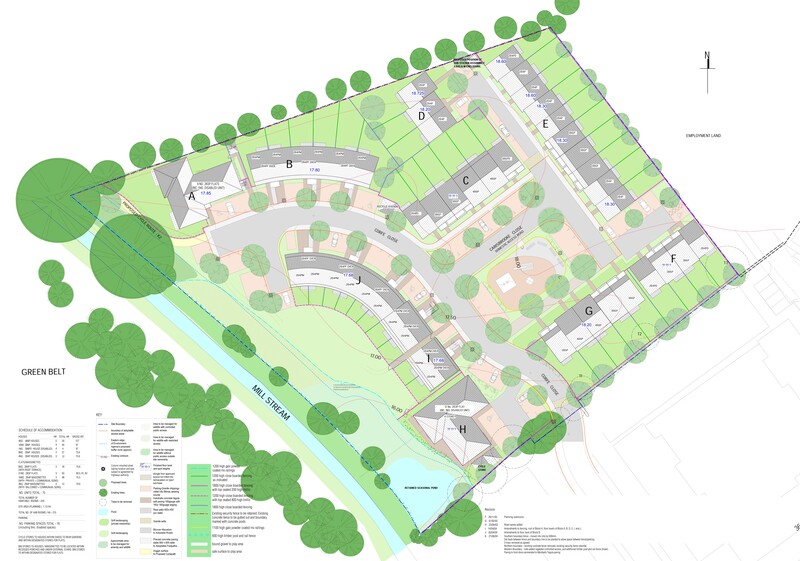 The scheme includes four, three and two bedroom houses, two bedroom maisonettes, two bedroom and one bedroom flats. 21 habitable rooms/ha.